We are offering Non-Tearable Price Tag. 1 Carton = 20 Rolls. 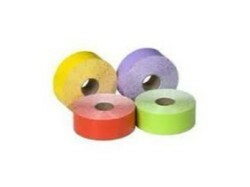 Our organization is actively engaged in manufacturing of Tag Rolls. Nutech Business Solutions Pvt. 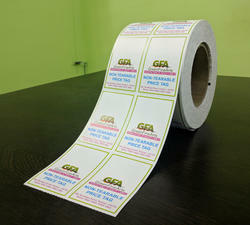 Ltd.
Our company offers a large range of labels in roll form and are available in cost effective prices. Manufactured as per client's requirements, our tags are customized. Industrially Manufactured To Fit Low Cost Tags For Events Like Exibition Malls Melas 1 Day Events And Workshops.